Sandra Oh is a bored, whipsmart MI-5 agent assigned to track down a brilliant, unpredictable Russian assassin (scene stealer Jodie Comer) in Killing Eve (2018, PG-14), a clever, compelling, mordantly funny spy thriller from BBC America. It was one of the best new shows of 2018 but not widely seen. You can now stream the edgy, offbeat first season on Hulu. A little too much holiday cheer in your Christmas viewing? Try Happy! (2018, TV-MA) a mix of crime thriller and dark comedy starring Christopher Meloni as a suicidal, drug-addicted ex-cop searching for a missing girl during the Christmas holidays with the help of her imaginary friend: a tiny, flying, blue unicorn (voiced by Patton Oswalt). It’s definitely not for kids. 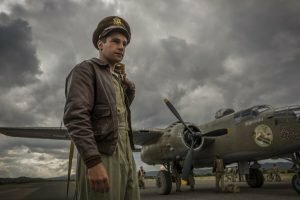 The limited series was originally made for SyFy (they’ve since announced a second season). It’s now streaming on Netflix. 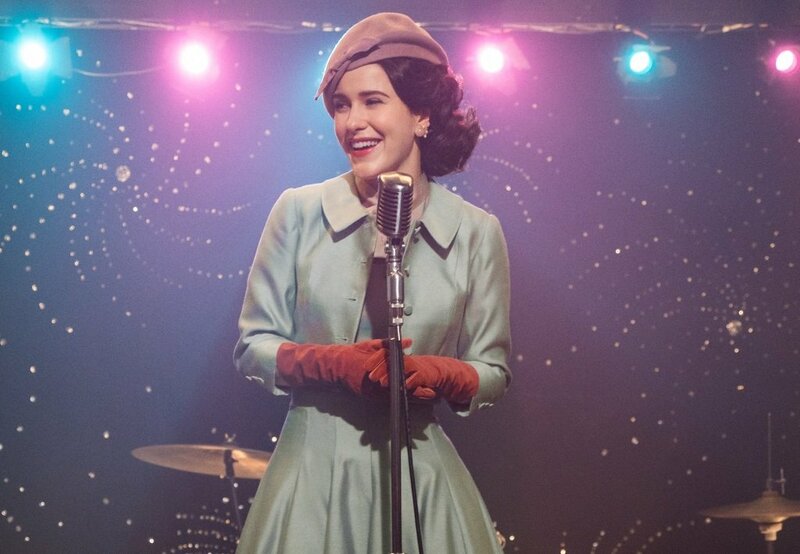 After winning eight Emmy awards for its debut season, the much anticipated The Marvelous Mrs. Maisel: Season 2 (2018, TV-MA) is finally here for holiday binge watching. Rachel Brosnahan and Alex Borstein star. 10 episodes streaming on Prime Video. Mowgli: Legend of the Jungle (2018, PG-13), a new take on Rudyard Kipling’s “The Jungle Book” directed by motion capture acting pioneer Andy Serkis, stars Rohan Chand and Freida Pinto with Serkis, Christian Bale, Cate Blanchett, Benedict Cumberbatch, and Naomie Harris as the jungle creatures. This version, rated PG-13 for violence, may be too intense for young kids. Tom Cruise is back as Ethan Hunt in Mission: Impossible – Fallout (2018, PG-13), the sixth film in the globetrotting spy franchise and possibly the best to date. Along with his loyal team (Ving Rhames and Simon Pegg) and his boss (Alec Baldwin), the film brings back Rebecca Ferguson as his British agent match and Michelle Monaghan as his ex-wife, and adds Henry Cavill and Angela Bassett to the mix. The stunts top the recent James Bond movies. Cable On Demand and VOD, also on DVD and at Redbox. Oscar Isaac stars as a Mossad agent assigned to bring Adolph Eichmann (Ben Kingsley) to trial for war crimes in Operation Finale (2018, PG-13), based on a true story. Also on DVD and at Redbox. foreign language dramas Martyr (Lebanon, 2018, not rated, with subtitles) and The Marriage (Kosovo, 2018, not rated, with subtitles). Available same day as select theaters nationwide is Asher (2018, R), a thriller starring Ron Perlman as an aging hitman on a mission of redemption. The comedy Dumplin’ (2018, PG-13), starring Danielle Macdonald as the plus-size teenage daughter of a former beauty queen (Jennifer Aniston), debuts direct to Netflix. The Lobster (2015, R), a melancholy love story with Colin Farrell and Rachel Weisz in a strange alternate reality where single people are transformed into animals, is from The Favourite director Yorgos Lanthimos. Holiday treats: along with the family film Free Rein: The Twelve Neighs of Christmas (2018, not rated) and mordant comedy 5 Star Christmas (Italy, 2018, not rated, with subtitles) come the dessert competition special Nailed It! Holiday! and the animated Super Monsters and the Wish Star for kids. cult martial arts comedy The Last Dragon (1985, PG-13). Jackie Chan in The Legend of Drunken Master (Hong Kong, 1994, R, with subtitles), one of his most impressive action films. acclaimed BBC natural history series Blue Planet II (2017). comedy The Sound of Your Heart Reboot: Season 2 (Korea, with subtitles). True stories: ReMastered: Who Killed Jam Master Jay? delves into the unsolved murder the DJ from ’80s rap act Run-D.M.C. Kid stuff: before “The Lego Movie,” filmmakers Phil Lord and Christopher Miller wrote and directed the animated comedy Cloudy with a Chance of Meatballs (2009, PG). Groundhog Day (1993, PG), starring Bill Murray as a smug, self-centered weatherman doomed to relive the same day over and over and over again, is a rare comedy that is both hilarious and heartfelt. And while it isn’t set at Christmas, it’s perfect for the holidays: an almost spiritual story of rebirth refreshingly free of preachy moralizing and mawkish sentimentality. It’s also available on 4K UHD format. Two major Oscar winners arrive this month: Alan J. Pakula’s All the President’s Men (1976, PG-13) with Robert Redford and Dustin Hoffman won four Academy Awards, including prizes for supporting actor Jason Robards and for William Goldman’s screenplay, and musical Cabaret (1972, PG) earned eight awards, including statues for director Bob Fosse and stars Liza Minelli and Joel Grey. Oscar-winning comedy Born Yesterday (1950) with Judy Holliday and William Holden. Cult: Bruce Lee became an international action star with Enter the Dragon (1973, R), which was also the final film he completed before his untimely death. True stories: Michael Moore’s Bowling for Columbine (2002, R) won the Academy Award for best documentary. Foreign affairs: crime movie master Johnnie To directs the unusual musical drama Office (Hong Kong, 2015, not rated, with subtitles) with Chow Yun-fat and Sylvia Chang. Also new: Venice Film Festival winner Legend of the Holy Drinker (1988) with Rutger Hauer. Kid stuff: Teenage Mutant Ninja Turtles (1990, PG) brought the heroes in the half shell to the big screen for their first live action outing. Leslie Nielsen stars in The Naked Gun (1988, PG-13), the wildly cartoonish big screen version of the cult comedy series Police Squad! from the creators of “Airplane!” (Prime Video and Hulu), and the sequels The Naked Gun 2½: The Smell of Fear (1991, PG-13) (Prime Video and Hulu) and Naked Gun 33 1/3: The Final Insult (1994, PG-13) (Prime Video and Hulu). Also new: thriller Scenic Route (2013, R) with Josh Duhamel and Dan Fogler as best friends who turn on one another when stranded in the desert (Prime Video and Hulu) and drama Ulee’s Gold (1997, R) with a powerful performance by Peter Fonda (Prime Video and Hulu). Kid stuff: family adventure The Black Stallion (1979, G) features some of the most beautiful horse footage captured in the movies (Prime Video and Hulu). Tangerine (2015, R), shot on the streets of Los Angeles with an iPhone by filmmaker Sean Baker, is an unconventional Christmas tale about two transgendered friends (Kitana Kiki Rodriguez and Mya Taylor) on an odyssey across Los Angeles to find a cheating boyfriend. The offbeat indie drama won awards from film festivals and critics groups across the country. Sideways (2004, R), an Oscar-winner for best screenplay, is a road movie with Paul Giamatti and Thomas Haden Church as buddies on a trip through California wine country. Nacho Vigalondo (Colossal) directs Into The Dark: Pooka!, the third feature-length episode in the Hulu Original horror series from Blumhouse. Lane 1974 (2017, not rated), based on the memoir by Clane Hayward, is a coming-of-age drama about growing up in the instability of communes in 1970s Northern California. Tom Hanks is symbologist Robert Langdon in the mysteries The Da Vinci Code (2006, PG-13) and Angels & Demons (2009, PG-13). teen werewolf drama Wolfblood: Season 4. David Lynch’s Blue Velvet (1986, R). Foreign affairs: With a Friend Like Harry (France, 2000, R, with subtitles) is a modern thriller with a Hitchcockian quality. Also new: Jackie Chan in the globetrotting adventures Operation Condor (Hong Kong, 1991, PG-13) and Operation Condor II: The Armour of the Gods (Hong Kong, 1986, R), the reedited and English dubbed versions of Hong Kong hit movies. The HBO Original drama Icebox (2018, TV-14) starring Anthony Gonzalez (the voice of “Coco”) as a 12-year-old Honduran boy incarcerated in the U.S. Immigration system when he seeks asylum. Dwayne Johnson and his gorilla buddy battle genetically modified giant animals in Rampage (2018, PG-13). Also new: thriller Traffik (2018, R) with Paul Patton and Omar Epps and documentary Say Her Name: The Life and Death of Sandra Bland (2018, TV-MA). Available Saturday night is Ready Player One (2018, PG-13), the dazzling virtual reality adventure directed by Steven Spielberg. bad behavior comedy hit The Hangover (2009, R) with Bradley Cooper. Mila Kunis, Kristen Bell, and Kathryn Hahn return in the moms-gone-wild comedy sequel A Bad Moms Christmas (2017, R) with Christine Baranski, Susan Sarandon, Cheryl Hines as their moms. Denial (2016, PG-13) dramatizes the true story of historian Deborah Lipstadt (Rachel Weisz), who was sued for libel by Holocaust denier David Irving (Timothy Spall) in the British courts. Amy Huberman (of Striking Out) writes and stars in Finding Joy: Season 1, a new comedy from Ireland. Six episodes. Also new: Vidago Palace: Season 1 (Portugal, with subtitles), set in Portugal during the Spanish Civil War, and the first episode of The Brokenwood Mysteries: Series 5 from New Zealand (new episodes arrive each Monday).